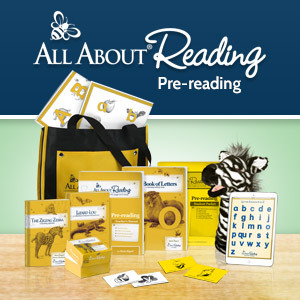 and Train Up a Child to see their bath or shower time learning fun! Press Here by Herve Tullet, is a newer picture book that we discovered about a year ago. The kids love it because the book tells them something to press, rub, touch, or shake dots on every page. It’s great for listening comprehension and practicing following directions, and the kids think it’s funny to boot. To set up the activity to go along with the Press Here book, I simply cut out a few red, yellow, and blue circles from sheets of craft foam. I wet them and stuck them to the walls of our stand-up shower. Wet foam sticks like a sticker! I also brought in our bag of ball pit balls from the garage and hid them in a room next to the bathroom. Once I had the bathroom set up, I called the kids over to the couch and we read the book, Press Here. The kids get so into pressing the dots when we read! Then I led them into the bathroom and they immediately hopped into the shower (without the water on) and began pressing the foam dots on the shower walls. They repeated some lines from the book and made up some of their own. While they were playing, I sneaked into the other room and grabbed the bag of ball pit balls, hurried back into the bathroom, shut the shower door, and dumped the bag of balls into the shower over the top of the door! The kids ducked and covered their heads and giggled like mad because it was raining balls! I had instructed the kids to sit down upon getting into the shower and after the initial excitement of adding the balls died down, I reiterated that the kids had to stay seated the whole time they played so that no one would accidently fall down and get hurt. I didn’t have to tell them what to do next; a mad frenzy ensued of flailing arms and legs and flying balls and the most giggles I’ve heard all week. They wiggled their arms and legs in the ball pit, they threw balls against the walls, they tossed balls into the air! After they played for awhile in the shower ball pit (which works SO perfectly to contain all the balls in one place!) we turned on the shower water to add a new element of fun! The movement of the balls and the level of laughter increased. The kids even rearranged the foam dots to make pictures. The kids had so much fun with this indoor shower ball pit that the only thing that would eventually lure them back out was the promise of some honey pretzels for snack. The activity really did help them burn off some of that excess energy! They had a blast and I got to relax…just a little. The next time you have a rainy day, I *highly* recommend you try an indoor ball pit! If you don’t have an enclosed shower, you can make a ball pit in the bath tub, baby pool, or in a kid tent. Be sure to hop over to see the other Wash & Learn posts this week! Bath Activities for Kids has a fun Kool-Aid science bath to share, and Train Up a Child has a bath time to go with the book The Rain Came Down. You can also see our Rainy Day Activities post for more ideas when you’re stuck inside. that is so much fun!!! Thanks for sharing! I love the element of surprise! I mean, this would be fun without it, but that takes it to another level! Really cool. Pinning this. What a awesome idea! My kids would love that. Where do you find the balls for a good price? I Imagine you need to buy quite a bit of them.